This is a twelve volume book short set for youth workers. Mike King on Who Said This? A Republican or a Democrat or a Religious Leader? Jack Hager on Who Said This? A Republican or a Democrat or a Religious Leader? Kara on One Year Ago Today... Bittersweet. Lilly Lewin on One Year Ago Today... Bittersweet. Mike King on One Year Ago Today... Bittersweet. kevin heller on One Year Ago Today... Bittersweet. Mark has trained youth workers across the United States and Canada, as well as in Russia, Uganda, South Africa, Ecuador, Trinidad, Nicaragua, and Northern Ireland, working with a wide variety of denominations. He has taught courses or been a guest lecturer at a number of colleges and seminaries. Mark is the author of a number of books, including Sustainable Youth Ministry (IVP, 2008). Mark serves as the chairman of the board for the Center for Youth Ministry Training, a two-year residential, masters-level, youth ministry training program based in Nashville. 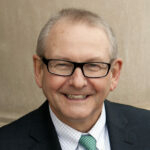 He also serves on the Alumni Board for Princeton Theological Seminary. In the world of youth ministry, there are a handful of constant factors that thrive over the long haul. This seminar introduces participants to those factors and offers a strategic design for instilling these foundational patterns into the fabric of any youth ministry, regardless of its model. ∙ You Are Here: Assessing Your Own Ministry. ∙ Date & Times: April 11, 2019 9:00 a.m. – 1:00 p.m.
Robert W. Jenson: A Theology in Outline: Can These Bones Live?